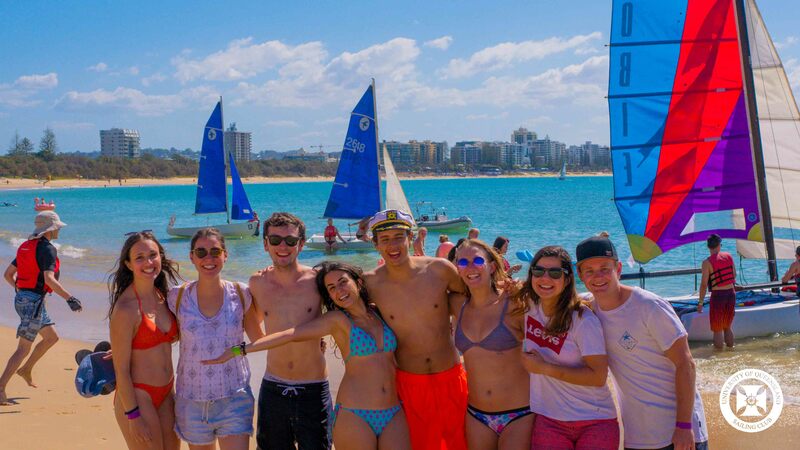 We’re kicking off the semester with a Mooloolaba trip! 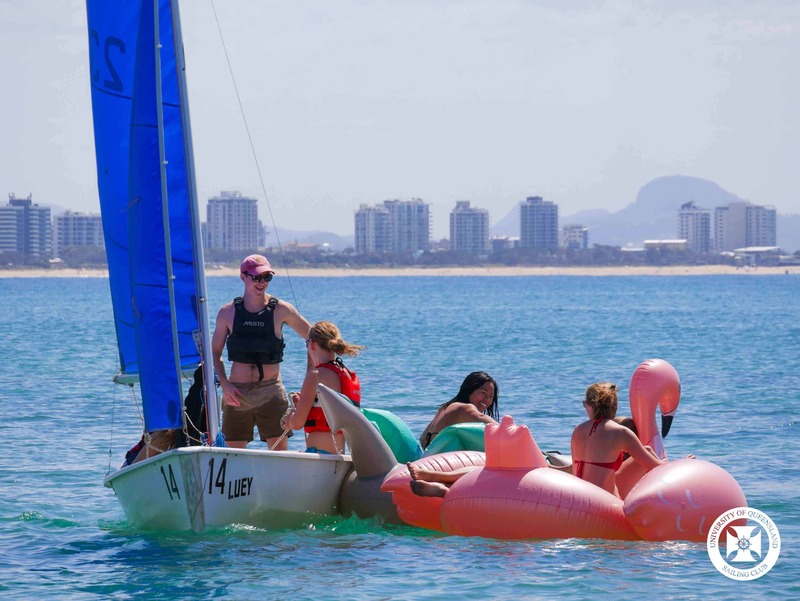 We’re sailing directly on and off the beach, so that means beaccchh party! 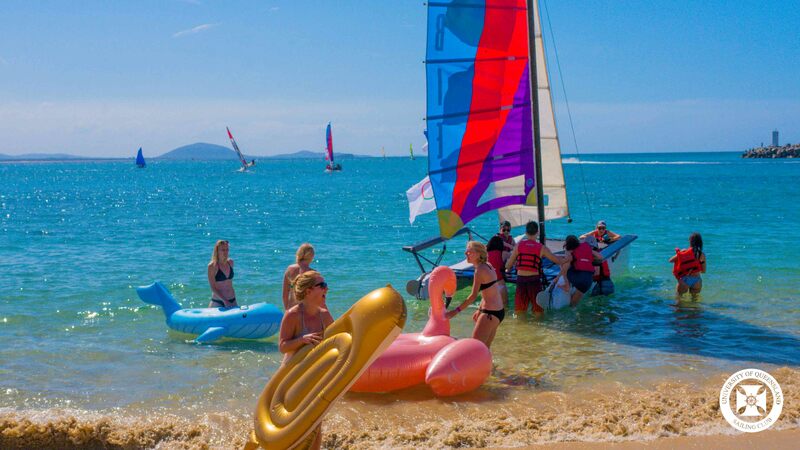 Don’t worry, we’ll provide lunch and transport to the beach – we’re nice like that. You all just need to be at UQ Chancellors Place at 9:00am, and we’ll take it from there. Most of the day will be spent just chilling and having a good time on the beach. 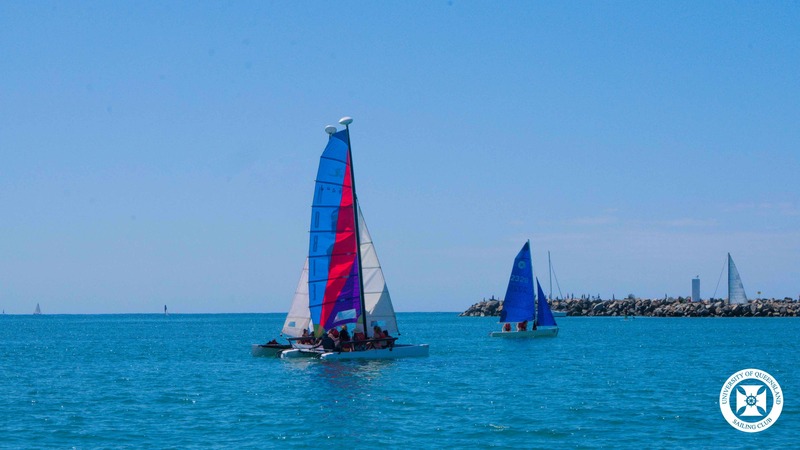 We’ll be taking small groups out on the boats throughout the day so everyone can experience sailing. 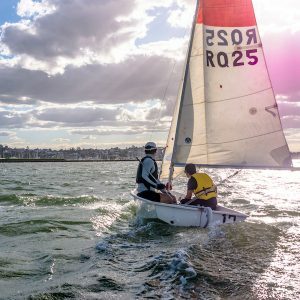 The day should give you a good feeling for what sailing involves, but for a longer sailing experience, come along to one of our social sailing days. 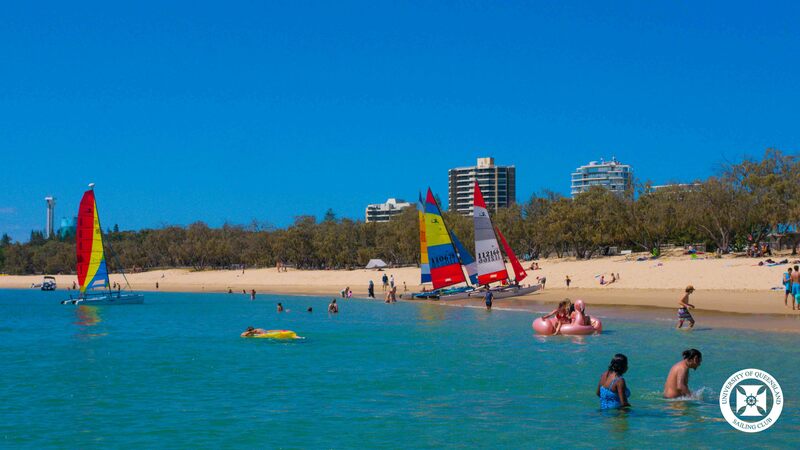 For now though, come join us at Mooloolaba and have an amazing day sun baking, swimming, sailing and partying! 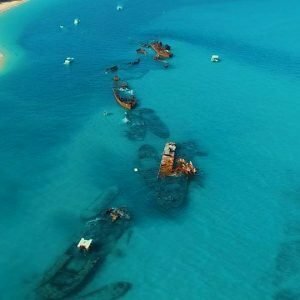 Sailors beware! Any pirates in attendance will get a free drink at our next red room! Meeting point is the UQ Pool/ Aquatic Centre at 9am and will be returning around 6:00pm. 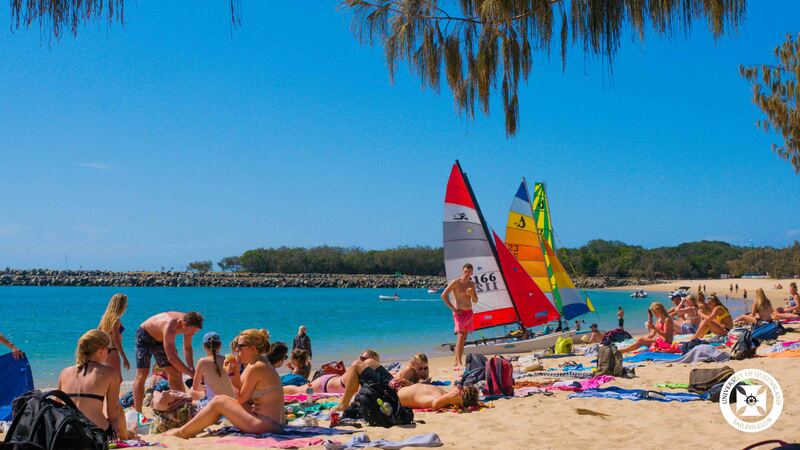 We’ll be dropped off at Mooloolaba Beach where we’ll put on a BBQ and people will get the chance to spend time out on the water with our experienced Skippers. 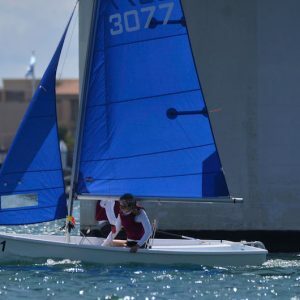 Come up and have an amazing day sun baking, swimming and sailing! Please note all participants must complete the UQSport swimming assessment before attending the event. Included with the event is one free entry into the UQ Aquatics center and we’ll be running a couple of fun swim days leading up to the event. Keep an eye on our facebook page for the exact dates. – All QUESDIES, Harambe says you’re extra welcome. – Please note, this is a non-drinking event. For safety reasons, any persons under the influence of alcohol and/or drugs will no longer be permitted on the boats. 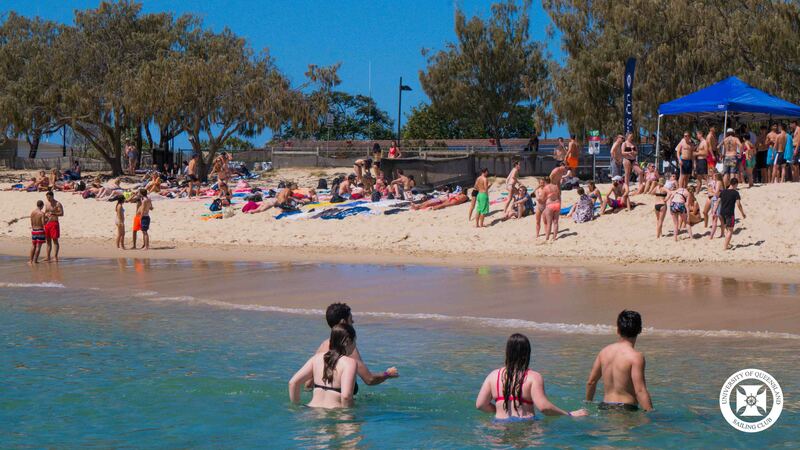 – All attendees have to also show us you can swim, as required by UQ sports policy. But don’t stress! We will organise some pool day social events, or you can ask us about going for a swim at the UQ pool whenever suits! This is an all ages event and all students are welcome to come. 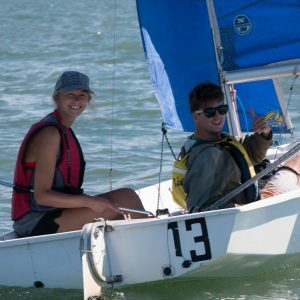 We all look forward to seeing you all out on the water! This product can only be purchased by members. To purchase this product, sign up by purchasing Membership – 12 Months or Membership – 6 Months, or log in if you are a member. 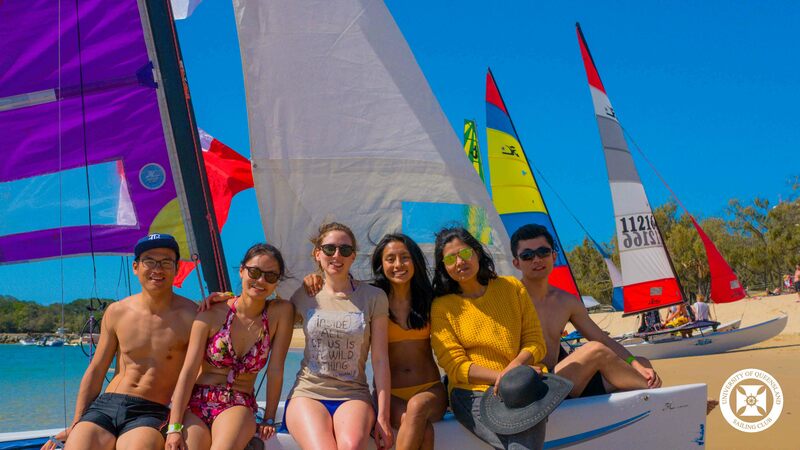 THE UNIVERSITY OF QUEENSLAND SAILING CLUB.